While those of us leading urban lives often take the bridges and roads that twine through our cities for granted, an estimated 1 billion people around the world live without access to any kind of transportation network at all. Even seemingly simple structures such as basic footbridges can have major ripple effects through these communities–lowering mortality, not only because people no longer have to brave ripping river currents but because people can suddenly reach medical clinics they couldn’t before, as well as raising education levels because kids can more easily get to schools. 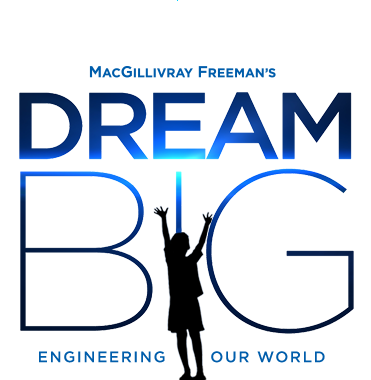 The journey of Dream Big makes a rousing stop on one of the most stunningly beautiful island nations in the world, the Caribbean country of Haiti. It is here that a local community and the international organization Bridges to Prosperity have come together to put an immediate, fate-changing halt to a deadly situation–lives needlessly lost each year as men, women and children attempt to cross a fast-moving river just to get to their jobs, schools, doctors or other villages. 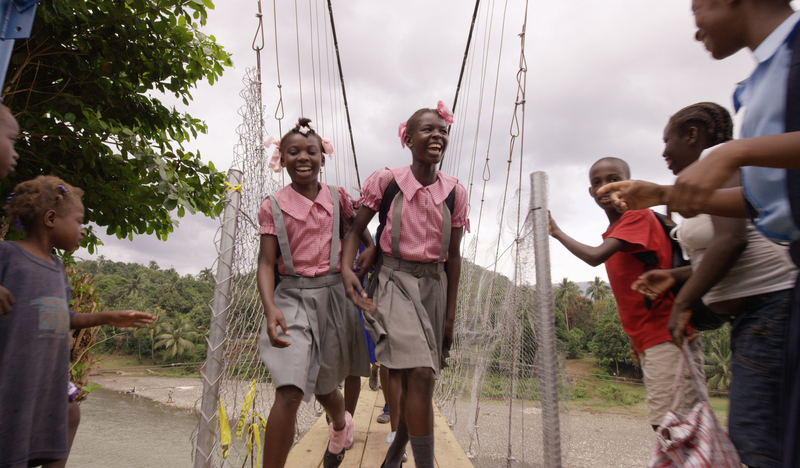 Here, the raising of a new footbridge means more than most people can imagine, leading both to safety and fresh opportunities. 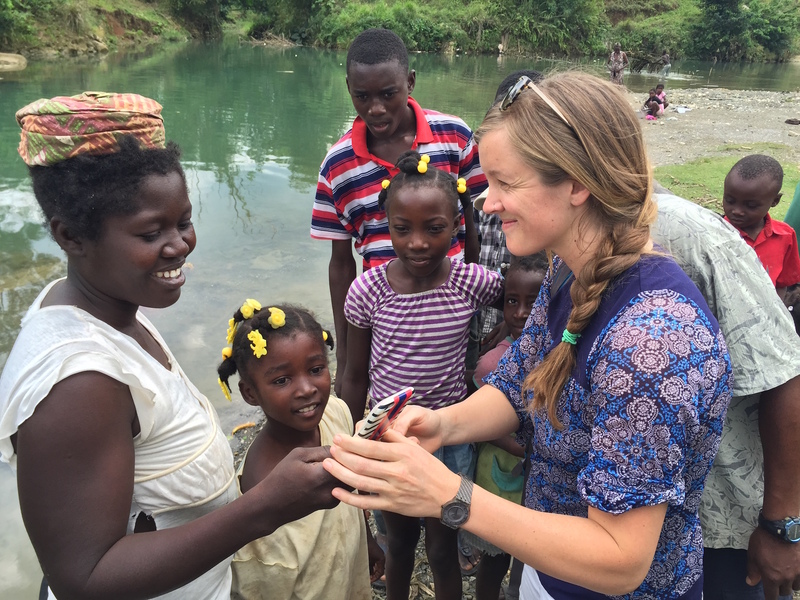 Recently, the MFF team learned the village where they shot took a direct hit from devastating Hurricane Matthew. Amid this worrying news, they were heartened to learn that while wind and water damage in the area was considerable, the footbridge survived, though it will need plank repairs to be safe again. Natural disasters are part of what engineers have to anticipate in their designs–building for every contingency of the future. But Bridges To Prosperity is aware that isn’t always easy to do in countries where resources are at a premium. Their next mission is a big one: to create a single, standardized, affordable bridge-building template that incorporates modern safety features but can become a reality anywhere. Bridges to Prosperity is working with a devoted group of leading engineering companies and thinkers around the globe to come up with a template that can be easily adjusted to fit local conditions and includes basic training for local people so that more homegrown engineers can maintain these critical structures, even with slim budgets. “The idea is to have a standardized template that can then be easily adapted to local needs. 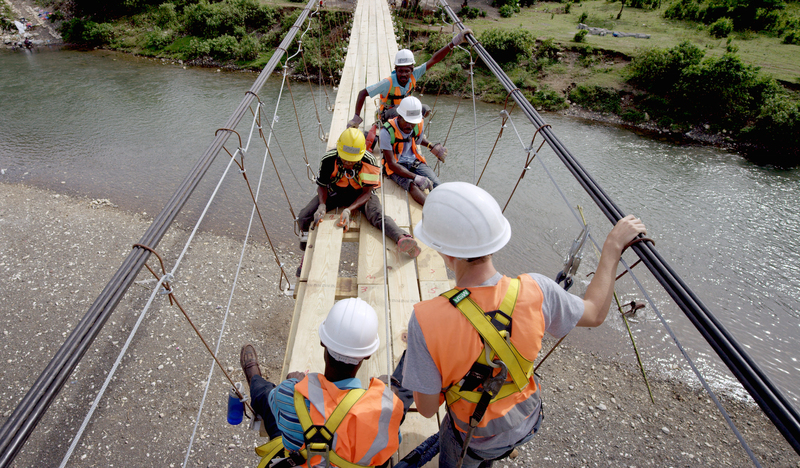 So if you were to go to Rwanda or Bolivia the bridges might look a bit different than in Haiti, but they would all be following the same standard principles that will make construction faster, stronger and more cost effective,” Avery explains.